Good grief! We’ve reached the end of September already – how did that happen? Anyway, let’s not waste any time as I’m sure you have better things to do, like giving your pet rhino a pedicure, or similar. 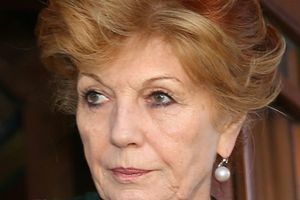 Red-headed actress Rula Lenska was born seventy years ago today as Róża Maria Leopoldyna Łubieńska – wow, pity her poor teachers calling the register. And she must have had custom-made, extra-long name tags for her school uniform. 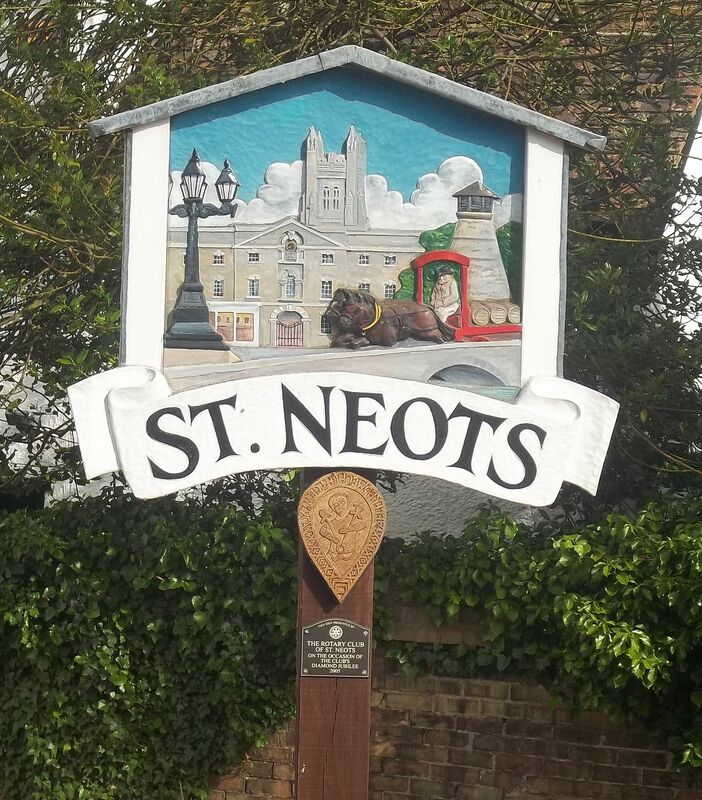 The family claim membership of the Polish aristocracy, with her parents being a count and countess – I wonder how impressed the good folk of St Neots were by that, because that’s where Rula was born. Perfectly nice town though it is, St Neots doesn’t quite conjure the same mental image as Warsaw, Krakow, Gdansk or even Radomsko, does it? Early on in her career and certainly by the time she hit thirty, Lenska had renounced her countess title. She said at the time, ‘In England it doesn’t count, if you’ll excuse the pun.’ Oh, how very droll. However, a good few years afterwards in January 2006, when she signed up for Celebrity Big Brother, she justified her decision to take part with the words, ‘I’m a crazy Polish countess who likes a challenge’. Do make up your mind, dear. I’ve never seen CBB – a fact that horrified near-neighbour Peter, who is a designer on the show, when we were chatting at a party locally. Even I, though, knew about RL cavorting with MP George Galloway in a role-play task where he pretended to be a cat licking milk from her cupped hands, and Lenska stroked his ears and moustache. Eew … or perhaps mew. Apparently, she also managed to lock herself in the toilet during her time in the house, giving late singer Pete Burns the golden opportunity to quip, ‘Oh dear, what can the matter be, clapped-out actress stuck in the lavatory.’ How brutal – made me laugh when I read it, of course, but rather mean. I’m hanging my head in shame … really. My mother also managed to lock herself in the downstairs toilet, a few days before my dad’s funeral. 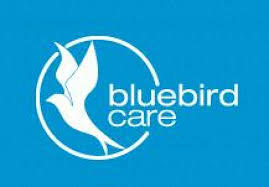 I got a call from the Bluebird lunch carer saying Mum had been in there quite some time and seemed to have forgotten how to slide back the basic lock in order to get out. When Sally (said carer) tried to relay instructions through the door, my mother said she didn’t know what she was talking about and became abusive. So, Sally rang her office and some bright spark there told her to contact me. What sensible advice, when they were in Twickenham and I was at home in Norfolk – a buck expertly passed if ever there was one. Sally decided a chisel to jimmy the lock was the way to go and so I guided her through the idiosyncratic locked door system of the ground floor – each lock with ever more weirdo-shaped keys that need to be persuaded into action – out into the back garden and around the house to the potting shed. My father was always one for ‘we’ll get a man in’ but did have some basic tools and I was pretty sure that was where they’d be, along with various lawn mowers and other garden machinery, an ancient bicycle or two, a zillion disused flower pots and industrial strength spider webs. 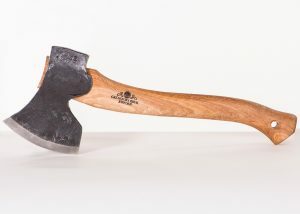 After she managed to get the shed door open, Sally quickly located a chisel and squealed with delight when she saw an axe. I persuaded her (with much difficulty) to leave that where it was. While she was attempting her breaking and entering, she had to hang up the phone, promising to call back when the prisoner had been sprung. An hour passed and I was beside myself with worry, when she finally rang back. Mission aborted. She’d called the Fire Brigade. We had to end the call once again, as she was expecting them to ring. By the time I heard from her again, I was (even more of) a basket case – but job done. Not impressed by three hunky firemen setting her free with a strategically placed crowbar, my mother had spat harsh words at Sally for letting strangers into her house and insulted the poor guys loud and long – nothing to do with dementia, that’s how my mother rocks. 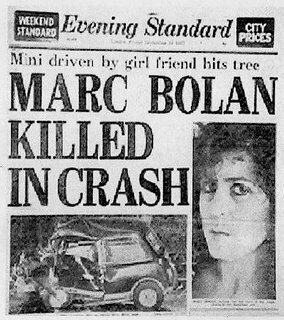 Going back to aforementioned Rula Lenska, Marc Bolan shared her date of birth, but died just two weeks short of his thirtieth birthday when the Mini being driven by his girlfriend hit a tree on Barnes Common – I passed the spot on many an occasion when I lived in London, and there were always flowers placed there. The singer/songwriter/poet/musician was actually born Mark Feld and tried out stage names Toby Tyler and Mark Bowland along the way, before settling on Marc Bolan. Through his father Simeon’s bloodline, he shares Rula Lenska’s Polish (plus in his case, Russian) ancestry, but does not appear to lay any claim to the nobility – so, just dead common like the rest of us. While at school (from which he was expelled at fifteen for bad behaviour), he played guitar in the trio Susie and the Hula Hoops, with vocalists Helen Shapiro, twelve at the time, and Helen’s cousin the appropriately-named Susie Singer. 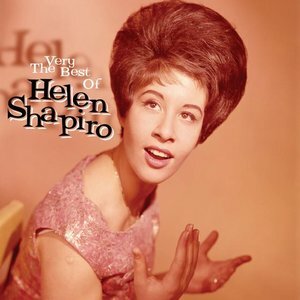 I can remember Helen’s hit, Walking Back to Happiness – boy I’m old, but not as old as her, because she was born on 28th September 1946, the year before Lenska and Bolan. The glam rock band T. Rex recorded Ride a White Swan in 1970 with producer Tony Visconti (who also managed David Bowie) – it was the single that changed Bolan’s career, and was inspired by Mungo Jerry’s success with In the Summertime, tempting Bolan away from predominantly acoustic to a more electric sound. Friends Bolan and Bowie both inflicted pretty awful names on their sons – Rolan (although he was named as Rolan Seymour Feld on his birth certificate) and Zowie, who wasn’t so lucky but is now rather more prosaically known as film director Duncan Jones. On this day in 1955, another young man died as the result of a car crash – one James Dean, twenty-four year old American actor and cultural icon of teenage disillusionment, angst and social estrangement, as portrayed in arguably his most famous film, Rebel Without a Cause. American teens of the era easily identified with the dilemma of his character, Jim Stark, who feels that no one, not even his peers, can understand him. 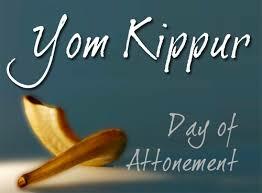 This year, the Day of Atonement, or Yom Kippur is observed on 30th September, being the 10th of Tishri in the Hebrew calendar, or the tenth day of the seventh month, and is regarded as the ‘Sabbath of Sabbaths’. It is considered the most important holiday in the Jewish faith. Falling in the month of Tishri (variably September or October in the Gregorian calendar), it marks the culmination of the Ten Days of Awe, a period of introspection and repentance that follows Rosh Hashanah, the Jewish New Year. I wonder quite how that sits with International Blasphemy Day, observed annually (mostly in North America and Europe) on 30/9 since 2009, after a student contacted the Centre for Inquiry in New York proposing the idea, which the CFI supported. Ronald Lindsay, president and CEO of the CFI said of Blasphemy Day, ‘We think religious beliefs should be subject to examination and criticism just as political beliefs are …’ For those who – like me – haven’t heard of the CFI, they are a non-profit educational organization, their primary mission to foster a secular society based on science, reason, freedom of inquiry, and humanist values. In January 2016, Richard Dawkins hitched his foundation’s wagon to the CFI. Probably enough said. Thanks, as always, for having me, Jenny! 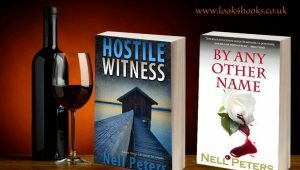 Many thanks to Nell for another entertaining and fascinating blog. 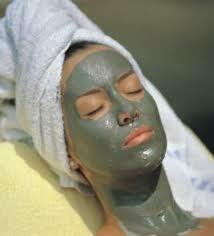 I will never look at Rula Lenska in the same way again! Years ago we used to see Rula Lenska at village cricket. My husband’s aunt used to do cricket teas and if we were staying, I helped. Sort of. Rula flapped around stealing the limelight. I loved Marc Bolan. 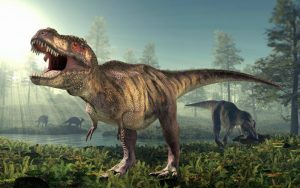 In fact I was a fan of the band’s unabreviated incarnation as the duo Tyrannosaurus Rex – a rather fey, folksy, Tolkein inspired, (pixies and elves) type act. Admire him though I did, I couldn’t resist inserting the two words “on the” in my mind, when reading your very enjoyable piece. He wasn’t just dead common, he was…. I’m sure you can see where I’m going with this. Sorry. I’ll get my coat. Another fun post, thanks ladies. Well, Marc Bolan – what can I say other than such a waste and such a talent. 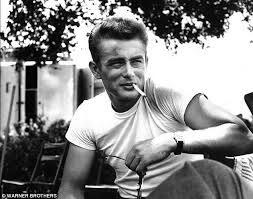 I never got James Dean – found him wooden as an actor and over-rated. Sad he died so young. Locked in the loo…mother did the same when out having dinner at a hotel. Everyone went to the car park to wait for her and were so deep in conversation didn’t notice she was missing for a good 40 minutes before the owner of the hotel heard her cries.The door handle had come off in her hand. She’d already fallen through a chair whilst waiting for their table, so decided she’d give the hotel a wide berth in future. 5 star hotel too. Thanks goodness for mobile phones now!